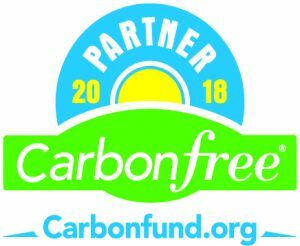 Alto Sustainability has chosen to partner with the following non-profits to advance the causes of green building, sustainability, and reversing global warming. With more than 56,000 members from over 132 nations, ASHRAE is a diverse organization dedicated to advancing the arts and sciences of heating, ventilation, air conditioning and refrigeration to serve humanity and promote a sustainable world. Knowing that responsible refrigerant use is the #1 contributing solution towards reversing global warming, supporting ASHRAE research efforts can help discover sustainable solutions to providing refrigeration to the world. The International Living Future Institute‘s mission is to lead the transformation toward a civilization that is socially just, culturally rich, and ecologically restorative. Southern Oregon Land Conservancy was created to ensure the natural wealth of the wild and working lands of the Rogue River region endure forever. As the state’s first regional, nonprofit land trust, SOLC began working with local landowners to create conservation easements – a conservation approach to safeguard their lands in perpetuity. The USGBC is committed to transforming how buildings are designed, constructed, and operated through the LEED® rating system. Since the rating system’s unveiling in 2000, it has become an international standard for environmentally sound buildings, certifying hundreds of thousands of square feet per day.